Sweet Meats has just released the Shapin' Bacon Plush Pillow and it's cute as hell. Deliciously stripey, as they say. 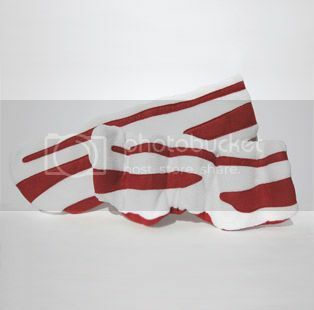 The Bacon Pillow is a limited edition of 1000 and sells for $17.99. 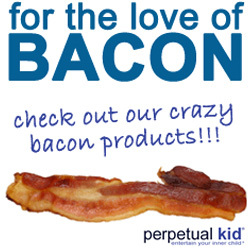 While you're there, you might want to pick up the "I Love You More Than Bacon" button for $1.75. If you truly love someone more than bacon, that's some serious L-O-V-E.
pillows are so cute and beautiful. i like them all. its so stylish. thanks for sharing this with us.